Unidentified officials from Taiwan’s National Security Bureau said that Beijing’s “united front” work has infiltrated schools at all levels, targeting students, teachers, and school headmasters, according to an Oct. 4 report by Taiwanese newspaper the Liberty Times. In an attempt to influence Taiwanese politics and society, Beijing has for a long time resorted to subversion campaigns carried out by the United Front Work Department of the Chinese Communist Party (CCP), as well as other Party agencies, to persuade organizations or individuals to spread the Party’s propaganda. China’s “united front” efforts date to the 1920s, according to Russell Hsiao, executive director of the U.S.-based think tank Global Taiwan Initiative, in testimony before the U.S.–China Economic and Security Review Commission (USCC) in April. Beijing has directed such tactics against Taiwan, since the island nation transitioned to a democratic system from a dictatorship under martial law. Beijing considers Taiwan, a full-fledged democracy with its own constitution, elected government, and military, a renegade province that must be reunited with the mainland—through military force if necessary. Beijing has tried to launch a charm offensive toward the Taiwanese public, seeking to persuade them that by being dependent on the mainland, especially in economics, Taiwanese can reap great financial benefits. However, such efforts have backfired in recent years, most evidently by the defeat of the more Beijing-friendly Nationalist Party (also known as Kuomintang) in regional elections held in November 2014, as the majority of Taiwanese voters decided to vote for parties that favor Taiwan’s independence. The latest example of Taiwanese society under siege involves a “cultural exchange camp” for Taiwanese high school students to be held in Jinan City, in the eastern province of Shandong in China. Jointly hosted by the city government’s education bureau and Taiwan affairs office, the camp will be held Nov. 4 to 11, according to the Liberty Times. Two of Taiwan’s top high schools, Taipei Municipal Jianguo High School and Taipei Municipal Chenggong High School, posted information about the camp on their websites. The camp has been called out by Taiwanese citizens, who suspect that the camp is a “united front” effort, since the eight-day camp has a fee of only NT$9,250 (about $300), according to Taiwanese broadcaster SET News. The very low fee suggests that the Jinan government may have subsidized the camp fees, and has a political motive for hosting it. Many Taiwanese schools, students, and teachers have taken part in similar programs in China. This past summer, 220 students and teachers from 40 Taiwanese schools took part in a science camp for high school students that was hosted by The China Association for Science and Technology and China’s education ministry. Many Taiwanese high schools, including a top all-girls school, Taipei First Girls’ High School, were listed as co-organizers of the camp. The programs are designed to pressure students, school faculty, and parents into having a more favorable view of the CCP, or become someone that pushes the CCP’s agendas. Wang Shih-cheng, a Taipei city councilor, criticized Beijing’s attempt to use cultural programs to spread its agenda among Taiwanese youth and turning Taipei into a “Chinatown,” according to The Liberty Times. Wang also called out Taiwanese schools that partner with China on different programs, saying that they are akin to “inviting the wolf into the house”—a popular Chinese idiom that means trusting someone who is inherently dangerous. In 2017, the Jiangsu provincial government, located on China’s eastern coast, initiated the “Hundred School Thousand Student” plan, with the goal of having 1,000 students from both Jiangsu and Taiwan take part in exchange programs at 100 schools in China and Taiwan, according to China’s state-run Xinhua. According to the Liberty Times, the Jiangsu program is also a part of the “united front” efforts. In May this year, 259 students and teachers from 18 mainland Chinese schools visited Taiwan for exchange programs. Some of the students even stayed at the homes of Taiwanese students during their visit. Beijing’s “united front” work isn’t limited to the education sector. 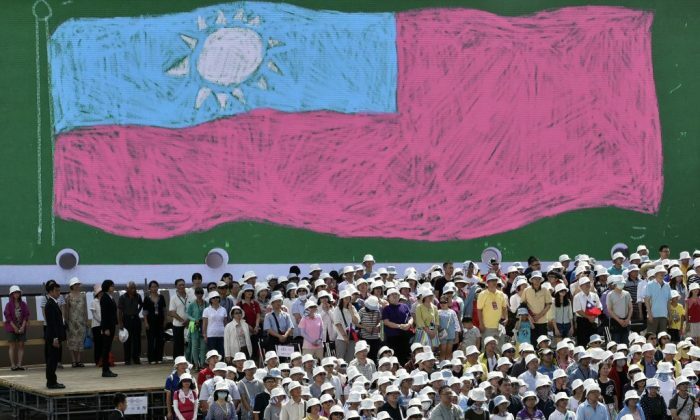 According to an August report on China’s united front work in other countries by the USCC, Beijing also tries to recruit politicians in Taiwan and third countries to advocate for Beijing’s sovereignty claims over Taiwan, such as by sponsoring trips to China or offering job opportunities and trade deals there. Additionally, Beijing also sponsors organized crime in Taiwan to destabilize society and meddle in local politics. The example provided in the report is Chang An-lo, leader of the pro-Beijing China Unity Promotion Party, who is also an infamous local gang boss who advocates for Taiwan’s capitulation to China.